Hypertherm, which makes industrial cutting systems has developed three new torch sleeves for XPR plasma cutting torches and lead sets. 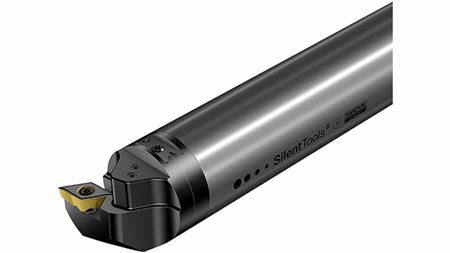 Tooling systems specialist Sandvik Coromant has developed a new tangential milling cutter. Sandvik Coromant has developed two new drills for drilling aluminium automotive parts. Cutting tool and tooling system specialist Sandvik Coromant has introduced two new ceramic insert grades. Kyocera says that it has developed a new ‘ultra-durable’ coating technology. Duralar Technologies has just introduced a new system for high-throughput deposition on the interior and exterior surfaces of metal parts. Olympus has launched a new microscope for the observation and inspection of metal components. Sandvik Coromant has introduced new CoroDrill 880 CVD diamond-coated insert grades, GCN124 and GCN134. 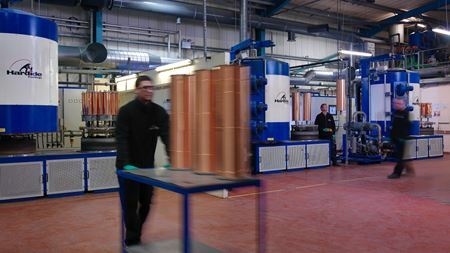 Hardide Coatings says that its tungsten carbide coating was used to coat a range of deflector plates for Royal Mail sorting machines in the UK. Cutting tool and tooling system specialist Sandvik Coromant has extended the functionality of its InvoMilling CAD/CAM software. Kyocera plans to showcase a number of new products at machine tooling show EMO 2017 taking place from 8 to 23 September 2017 in Hanover, Germany. Hardmetal company Kyocera Corporation has developed a new line of indexable modular drills. Hardmetal tooling specialist Ceratizit has developed CeraShield, a coated knife for solid wood machining. Sumitomo Tool has developed a new coated grade for the turning of small precision parts. Seco has launched the new R220.88 face milling cutter range with inserts with eight cutting edges and improved geometries. Kyocera Corporation has developed a new line of indexable cutting tool inserts to improve cast iron machining. Sandvik Coromant has developed new CB7105 and CB7115 grades for transmission and hard part turning.